This year marks the twentieth anniversary of Filmmaker Magazine, a publication indebted to covering the world of American independent film. Starting tonight and running until April 15th, Filmmaker’s Editor-in-Chief and cofounder Scott Macaulay is curating a Carte Blanche series at MoMA. Macaulay is selecting seminal films from the past two decades that demonstrate changes in independent filmmaking and production methods. On Friday, April 5th at 4:00, you can catch Me and You and Everyone We Know, Miranda July’s 2005 film that she wrote, directed, and starred in. For those of you looking to sate your post-Oscar J-Law obsession, Winter’s Bone (Debra Granik, 2010) is playing the next day, also at 4:00. If you’re willing to make the schlep to Brooklyn this weekend, there will be midnight showings of Easy Rider at the Nitehawk Cinema in Williamsburg on Friday and Saturday. Both screenings include a pre-taped introduction and a Q&A with co-star Karen Black. 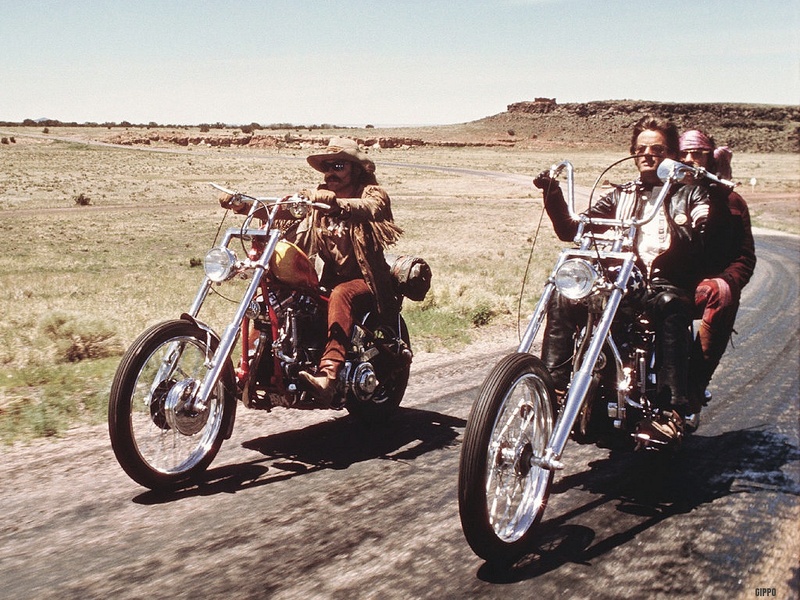 Directed by Dennis Hopper, Easy Rider follows Peter Fonda and Hopper as they travel across the country, exploring the world of drugs, late ’60s social issues, and screen-stealing mustaches. WIth the recent release of Room 237, it seems that filmgoers have The Shining fever, reviving the obsession for Kubrick’s classic 1980 film. This obsession is manifested in The Shining Backwards and Forwards, playing this Friday at midnight at Spectacle. First conceived in 2011, this experimental film plays two versions of The Shining, one backwards and one forwards, simultaneously on the same screen, creating bizarre patterns and synchronicities. While some might find the film too visually chaotic, Shining-obsessives will be engrossed by the film’s ability to recontextualize familiar images. Written by: Julia Selinger on April 5, 2013.